Perfect for our needs, we had the two rooms on the ground floor with the lovely courtyard between them for meals. Excellent location in a quiet area yet near to everything. Friendly and helpful hostess. Nice size kitchen. Barbara was kind enough to store our luggage at the laundry for a half day even though she didn't have much space - much appreciated! Will definitely stay here again. The kids loved the cute cat that visited us every morning and evening. Warm welcome at the ferry arrival. The apartment is few meters away from the port and the taverns. nice terrace and view. clean and size is OK for a family of 4. Good location, quaiet place, Barbara very nice and carefully. A really great pension in Katapola - a minute's walk to the restaurants of the harbour area, 10 minutes to go around the bay to even more great food and 30 minutes (or a quick boat ride) to the amazing Maltezi beach. Barbara was incredibly friendly and everything was as we expected - comfortable and clean. Recommended! Barbara picked us up at arrival and guided us to the place. Overall, very friendly and accommodating! Fresh, clean, cozy room and atrium. Greek feeling at its best! Got even a gift related to the island. Everything about this place is fabulous.First class accommodation and Barbera is so welcoming. The location was perfect - just outside of the noise of the harbour, but 1min walk to everywhere. Sehr freundliche Gastgeberin. Nähe zum Hafen. Kleine Begrüßungsaufmerksamkeiten. Schöner Innenhof. 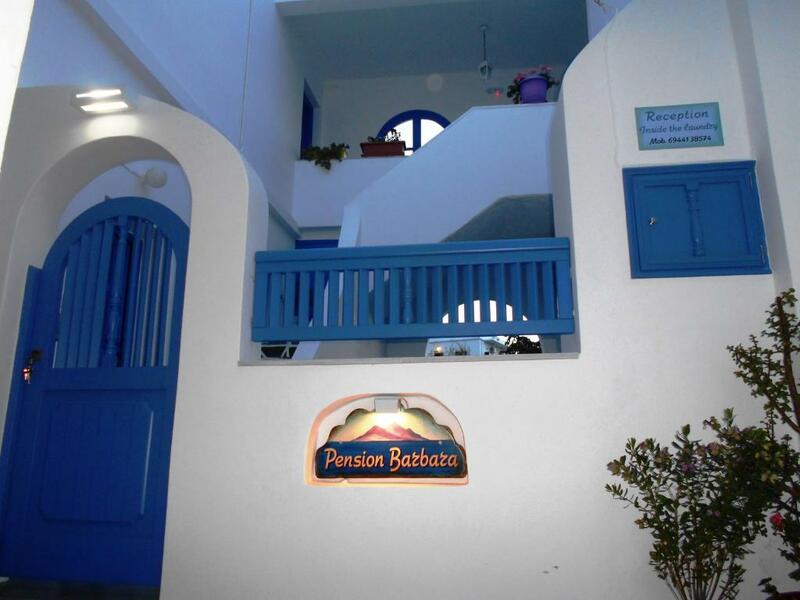 Lock in a great price for Pension Barbara – rated 9.2 by recent guests! The Cycladic-style Pension Barbara is conveniently located 100 feet from Katapola Port in Amorgos and 350 feet from the beach. 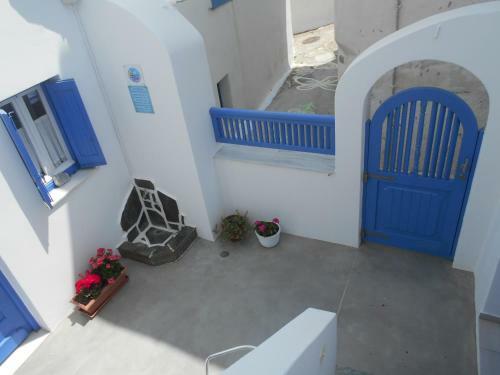 The property offers self-catering accommodations with balcony overlooking the port or its well-tended garden. The simply appointed studios come in white, blue or earthy tones. Each unit features a fridge, kitchenware and electric kettle. They all come with a TV and a private bathroom. Guests can make their own breakfast or other meal, which they can enjoy at the paved courtyard of Barbara. Restaurants, taverns and bars can be found within 150 feet. 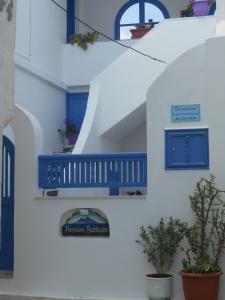 Pension Barbara is located 3.1 mi from the picturesque capital of Amorgos and 14 mi from Aigiali. 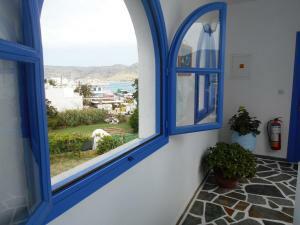 The famous Agia Anna Beach is at 5.6 mi. When would you like to stay at Pension Barbara? Featuring a fully equipped kitchenette with a dining area, this Cycladic-style room comes with air conditioning and TV. It opens up to a private balcony with views over the garden. Private bathroom is stocked with a hairdryer. Enjoying views over the port from its balcony, this air-conditioned room is decorated with iron furnishings and earthy colors. It features a kitchenette with fridge and electric kettle. Private bathroom is stocked with a hairdryer. An iron can be provided upon request. 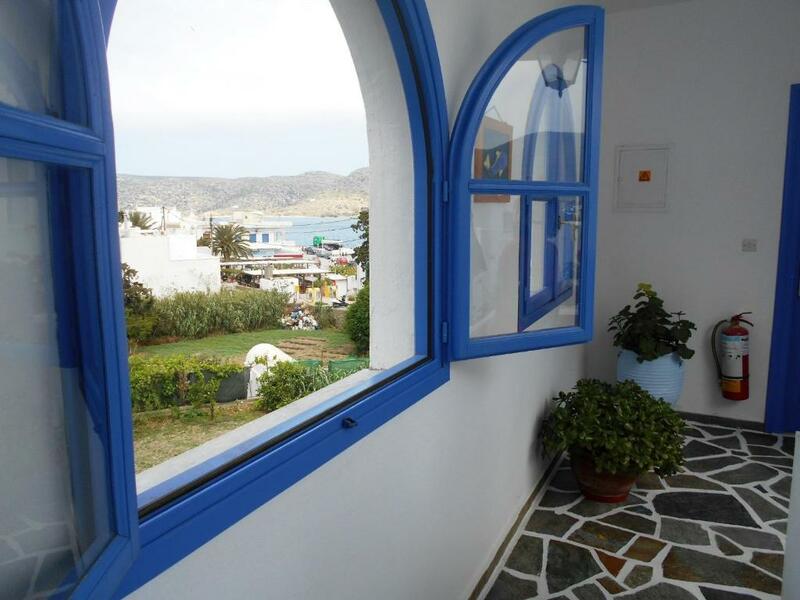 Spacious apartment with 2 bedroom and a balcony with views over the port and the garden. It also has facilities to prepare breakfast. It is equipped with air conditioning, fridge and a TV. Private bathroom is stocked with a hairdryer. η γειτονια που βρισκεται η πανσιον μου, ειναι ησυχη και ασφαλης. βρισκεται πολυ κοντα σε εστιατορεια, καφε, φουρνο. κοντα σε ταξι λεοφορεια και το λιμανι που φευγει το πλοιο. μπορεις να απολαυσεις την ξεκουραση σου και σε ενα λεπτα να βρισκεσαι κοντα σε ολα. House Rules Pension Barbara takes special requests – add in the next step! Pension Barbara accepts these cards and reserves the right to temporarily hold an amount prior to arrival. Please inform the staff of Pension Barbara about your expected arrival time, in order to wait you at the port. Please inform Pension Barbara of your expected arrival time in advance. You can use the Special Requests box when booking, or contact the property directly using the contact details in your confirmation. The kitchenette is limited, with only a kettle. But very inexpensive and local meat pita gyros 50m away !